By Denis Džidić (BIRN) HAGUE – The UN tribunal in The Hague upheld wartime Bosnian Serb political leader Radovan Karadzic’s conviction for genocide, war crimes and crimes against humanity, and increased his sentence to life in prison. Former Bosnian Serb leader Radovan Karadzic in court on Wednesday. Photo: EPA-EFE/PETER DEJONG. The Mechanism for International Criminal Tribunals’ appeals chamber on Wednesday convicted former Bosnian Serb President Radovan Karadzic of responsibility for some of the worst wartime crimes in Europe since World War II. The appeal verdict confirmed Karadzic’s initial conviction and increased his sentence from 40 years to life in prison, citing the gravity of his crimes, which judge Vagn Prusse Joensen said were of “an unprecedented scale and cruelty”. “The chamber considers the 40-year sentence inadequate when compared to convicts who were sentenced to life imprisonment,” Joensen said. Karadzic was initially convicted by the Hague Tribunal under a first-instance verdict in March 2016, but both the defence and the prosecution appealed against the verdict. The court on Wednesday upheld his convictions for the 1995 genocide of Bosniaks from Srebrenica, for terrorising the civilian population of Sarajevo with a long-running campaign of shelling and sniper attacks, for the persecution and extermination of Bosniaks and Croats in 20 municipalities across the country, and for taking UN peacekeepers hostage. However, it also upheld his acquittal for committing genocide in seven other Bosnian municipalities in 1992. Judge Joensen said that “the prosecutors have not proved that a mistake was made when it was determined that Karadzic was not guilty of genocide in 1992”. Speaking about Karadzic’s participation in a joint criminal enterprise responsible for the Srebrenica genocide in July 1995, when over 7,000 Bosniak men and boys from the eastern Bosnian town were killed, Joensen said that considering that the Bosnian Serb leader was in constant touch with forces on the ground at the time, there was no error in judging him guilty. He said that the key evidence was ‘Directive 7’, a Bosnian Serb official decision in March 1995 which Karadzic signed, saying that conditions should be made “unbearable” for people living in the Srebrenica enclave. On the charge that he was part of a joint criminal enterprise to terrorise the civilian population of Sarajevo during the siege of the city by Bosnian Serb forces, Joensen said that orders that Karadzic gave, saying that civilians should not be attacked, were issued at times which were politically beneficial to him – when he was negotiating or when under pressure from the international community. He also said that Karadzic failed to prove in his appeal that the original verdict made a mistake in finding him guilty of the massacre at the Markale market in Sarajevo – one of the worst atrocities in the Bosnian capital during the siege. 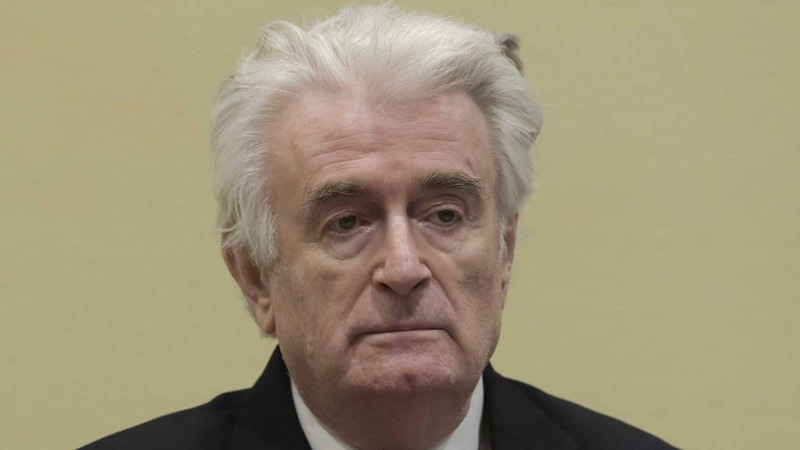 The appeals judges rejected Karadzic’s claim that his trial was unfair. Joensen said that the court did violate Karadzic’s rights by conducting visits to crime scenes without him, but added that this did not significantly harm his defence. On hearing the sentence, Bosnian war victims who were in The Hague for the verdict let out a cheer in the courtroom gallery. Murat Tahirovic, president of the Victims and Witnesses of Genocide Association, a Bosnian war survivors’ group, welcomed the life sentence. 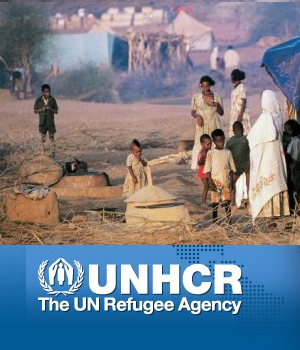 “Total justice is not possible but it is satisfaction for the victims,” Tahirovic told N1 TV. Wednesday’s ruling is final and cannot be appealed. Karadzic was arrested in 2008 in Belgrade while living as a fugitive, disguised as a spiritual healer, after spending 12 years on the run. His trial started in October 2009 and more than 500 witness testimonies were heard during the marathon proceedings.